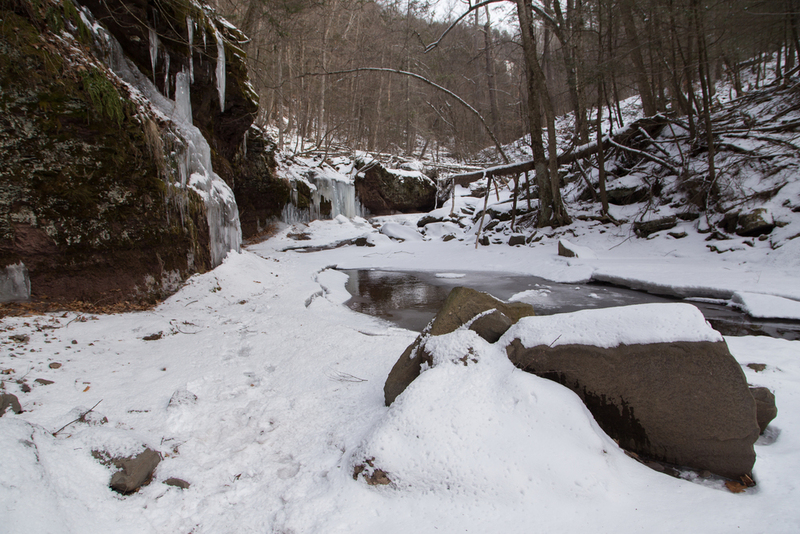 Kaaterskills Falls, located in the North/South Lake region of the Catskill Mountians, is home to year round fun. 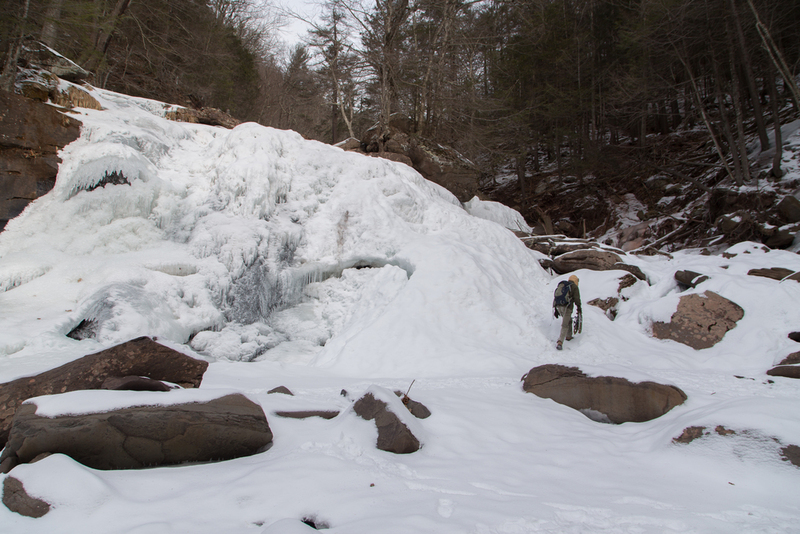 In the summer it's one of the best swimming holes in upstate New York but in the winter it becomes one of Mother Nature's best exhibitions of ice sculptures. Kaaterskills Falls is made up of a two level waterfall with trails at both ends allowing visitors to access it from the top of the falls or the bottom (which is what we did on this trip). These two gigantic waterfalls cascade down a shale backdrop, emptying into large pools which at this time of year are frozen over giving you the unique chance to get up close and personal with these frozen mammoths. Check it out before the winter is through and the warm weather melts these works of art! !